The Tibesti massif, one of the most prominent features of the Sahara desert, covers an area of some 100,000 km2. Though largely absent from scientific inquiry for several decades, it is one of the world’s major volcanic provinces, and a key example of continental hot spot volcanism. The intense activity of the TVP began as early as the Oligocene, though the major products that mark its surface date from Lower Miocene to Quaternary (Furon (Geology of Africa. Oliver & Boyd, Edinburgh (trans 1963, orig French 1960), pp 1–377, 1963)); Gourgaud and Vincent (J Volcanol Geotherm Res 129:261–290, 2004). We present here a new and consistent analysis of each of the main components of the Tibesti Volcanic Province (TVP), based on examination of multispectral imagery and digital elevation data acquired from the Advanced Spaceborne Thermal Emission and Reflection Radiometer (ASTER). Our synthesis of these individual surveys shows that the TVP is made up of several shield volcanoes (up to 80 km diameter) with large-scale calderas, extensive lava plateaux and flow fields, widespread tephra deposits, and a highly varied structural relief. 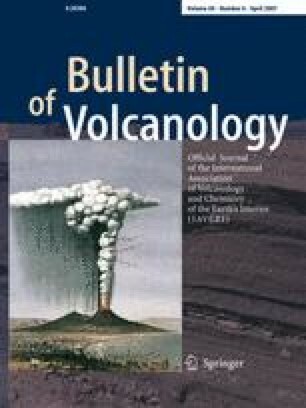 We compare morphometric characteristics of the major TVP structures with other hot spot volcanoes (the Hawaiian Islands, the Galápagos Islands, the Canary and Cape Verdes archipelagos, Jebel Marra (western Sudan), and Martian volcanoes), and consider the implications of differing tectonic setting (continental versus oceanic), the thickness and velocity of the lithosphere, the relative sizes of main volcanic features (e.g. summit calderas, steep slopes at summit regions), and the extent and diversity of volcanic features. These comparisons reveal morphologic similarities between volcanism in the Tibesti, the Galápagos, and Western Sudan but also some distinct features of the TVP. Additionally, we find that a relatively haphazard spatial development of the TVP has occurred, with volcanism initially appearing in the Central TVP and subsequently migrating to both the Eastern and Western TVP regions. Supplementary material is available in the online version of this article at http://dx.doi.org/10.1007/s00445-006-0098-x and is accessible for authorized users. We thank the ASTER team, and especially Elsa Abbott (NASA-JPL), for help and advice with the ASTER imagery and processing, and NASA’s EOSDIS for data and support. We are also grateful to Rob Jones and Kevin Lawless at RSI, UK, for their help in acquiring and servicing ENVI software and related modules. We are deeply grateful to Shan de Silva and David Crown for their invaluable comments and advice for revision of the original manuscript.